Parents are the foundation of their children’s development. 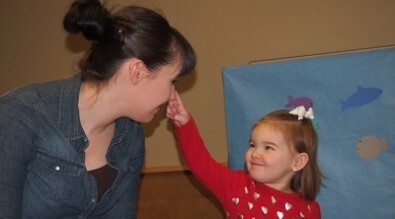 Families play an important role at the Sweetwater County Child Development Center (SCCDC). Collaborate with staff to organize activities, events, and fundraisers. The possibilities are endless! Please contact the SCCDC if you are interested in volunteering at the Rock Springs or Green River centers! A preschooler is any child between the ages of three and five. Children are considered preschool age on their third birthday and can attend a CDC preschool once they reach age three. Preschoolers who have an active IEP (Individualized Education Plan) as identified through a screening and/or evaluation in any area are considered “Preschool Plus”. Children who have an active IEP receive all services free of charge in compliance with IDEA (Individuals with Disabilities Education Act). The SCCDC Infant/Toddler (Part C) program is for families with children whose ages are birth-to-3 years of age. A developmental screening is offered to all birth-to-three children in our community. If a possible developmental delay is suspected, the family is offered further comprehensive evaluation in all areas with specialized therapists also evaluating in the area of most concern. Part C offers a variety of services to children with developmental delays . Children can be placed on an Individualized Family Service Plan (IFSP) to address the developmental area of concern and offer services to the family for instruction to help with growth in all developmental areas. A family may also address concerns with their pediatrician, who will prescribe or refer their child for a comprehensive evaluation. Each family is urged to come in for screening even without concerns. In addition to therapy services all children birth-to-3 are invited to Toddler Group and Kindermusik at both centers. The newest service offered by the Sweetwater County Child Developmental Center is our Daycare centers in both buildings. The daycares provide a safe learning environment for while you are at work and allow us to continue support you and your children as often as possible. 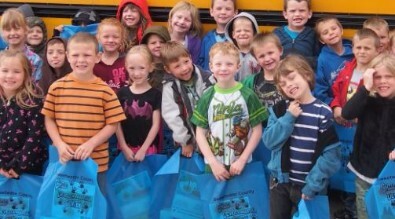 The Sweetwater County Child Development Center has been purpose built to serve as many students as possible. For our parents convenience we have included our enrollment information available on our website. You can find all the enrollment information listed below. Any time after they are 3 years of age. The price of services is $110.00 per month for them to attend 2 days a week in 2.5 hour sessions. These sessions are on either Monday and Wednesday or Tuesday and Thursday. There are sessions in both the AM and PM. When the Child is 4 years old prior to 9/15 of the current school year, they will attend 4 days a week for 2.5 hour sessions. The price associated with this is $140.00. The sessions are held Monday through Thursday in either the AM or PM. Session times are 9:00AM-11:30AM or 1:30PM-3:30PM. If tuition is paid for the entire year there is a 20% discount. If paid by semester there is a 10% discount. If you have any questions regarding the information listed above please contact us and we will be glad to assist you.